Five Disruptive Internet Innovators, and The Industries That Should Be Worried. If you use Google frequently like me, you probably noticed that they change their logo on the homepage very often. They are called Google Doodles and were first used in 1998 by Larry Page and Sergey Brin. Google Doodles are dedicated to special occasions like birthdays of famous scientists, artists, and humanitarians as well as holidays and current events. 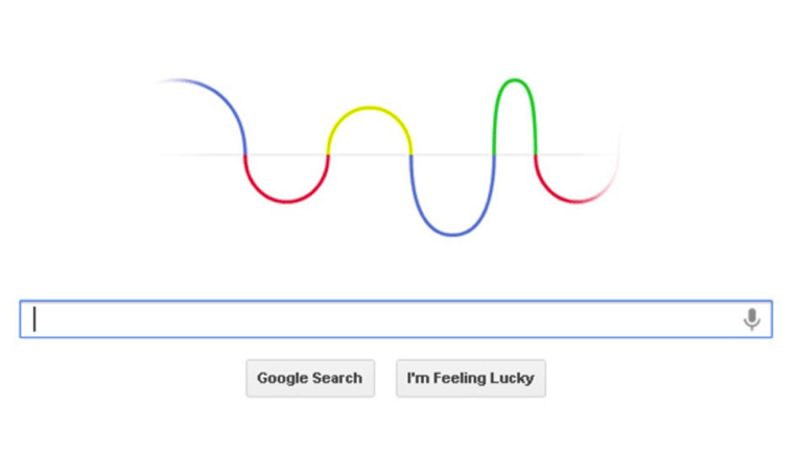 Google also changes its Doodles on important days like the company anniversary. Many marketers say that changing your logo often is not a good idea but Google proved them wrong by changing theirs 260 times only in 2011 and attracting the attention of media and public. Google also holds annual contest named Doodle4Google among K-12 students, which students compete with their own designs. The winner gets to visit Google headquarters and have their Doodle feature on the homepage for a day. Today we went back and put a list of top Google Doodles of all time. Needless to say, it was very hard to pick from so many great doodles. 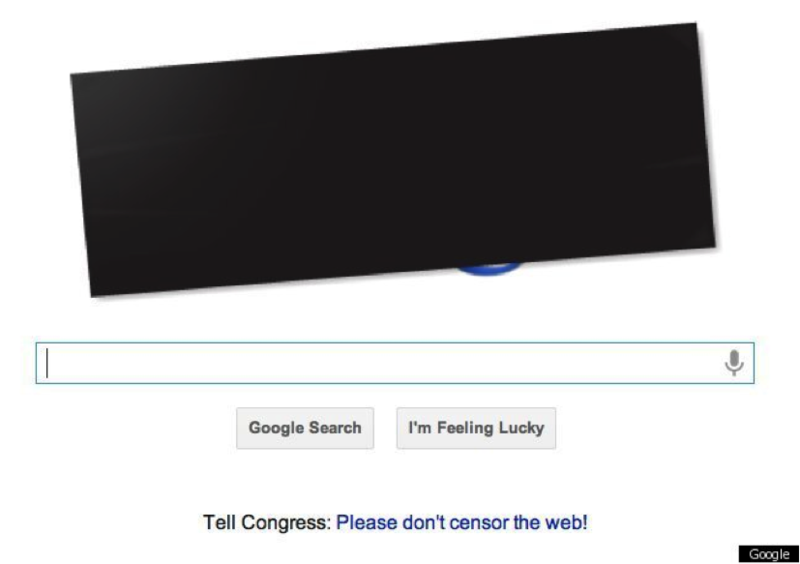 Google released this doodle on 18 January 2012 opposing the censorship of the web. They covered their logo with black strip, which directed to a page with more information about SOPA/PIPA if you clicked on it. On February 22, 2012, Google changed their logo to animated sound wave for German scientist who proved the existence of electromagnetic waves. 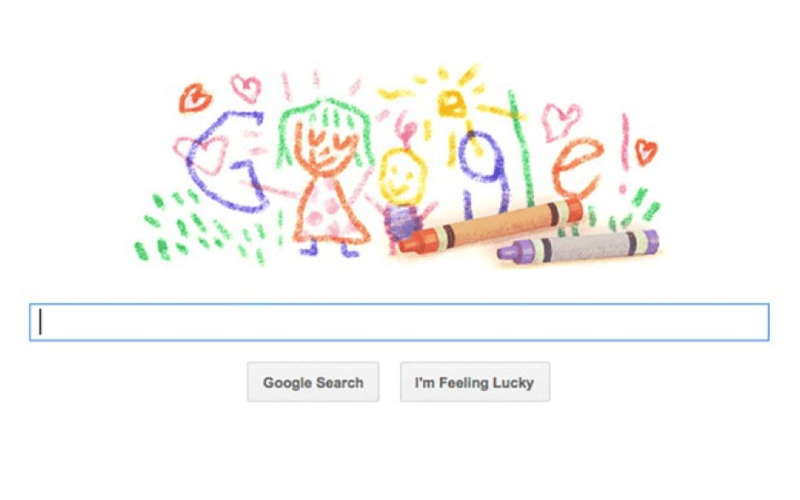 Google honored mothers on March 18, 2012 by changing its logo to crayon art. Apr 14, 2005, Google celebrated 553rd birthday of Leonardo Da Vinci by changing their logo with famous Vitruvian Man and La Joconde. 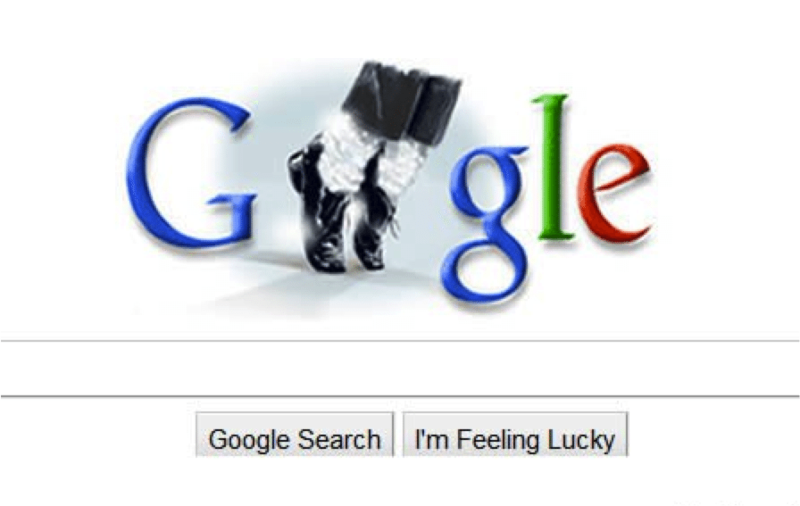 On August 29, 2009, Google celebrated King of Pop’s birthday by replacing two Os by Jackson’s signature white socks and black shoes. 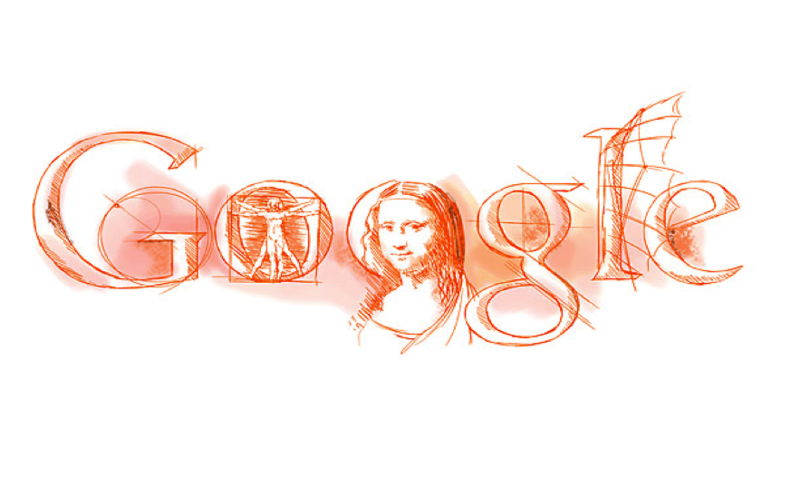 Google dedicated their logo to post-impressionist artist’s birthday on March 29, 2005. 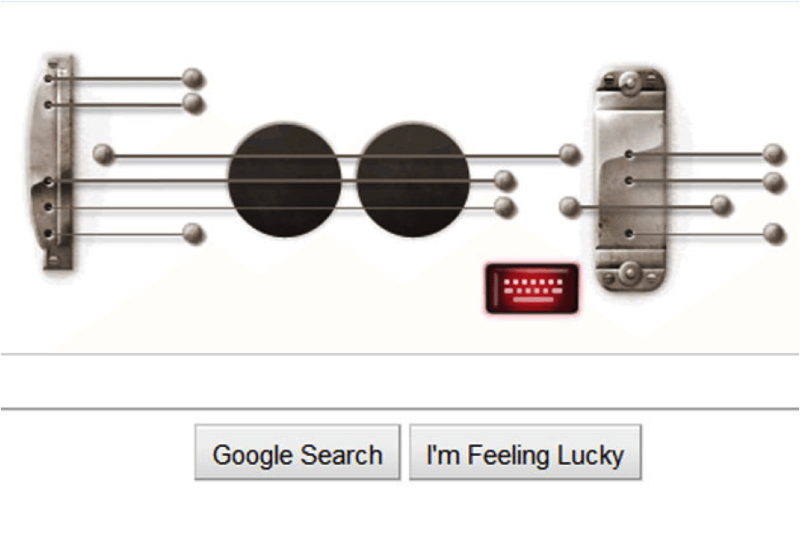 Google dedicated this doodle to famous guitarist on June 9, 2011. The strings played notes when you put your cursor over them. 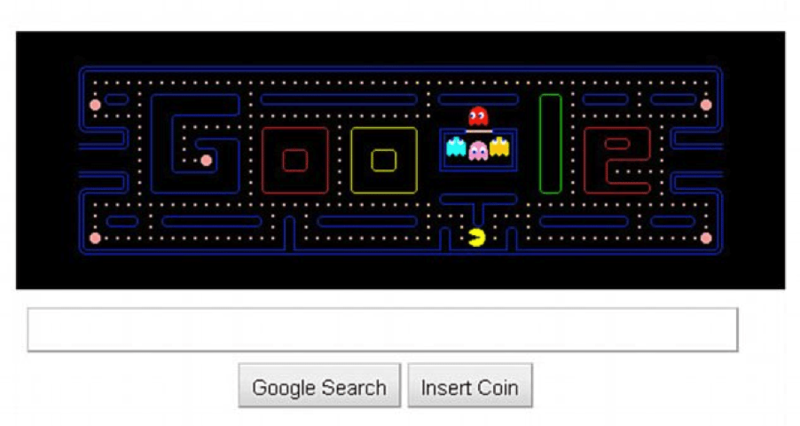 Google launched its first ever interactive doodle on May 21, 2010 for Pac-Man’s 30th birthday. Anyone could play his or her childhood favorite game by visiting Google homepage.